ARGH, BAD BLOGGER, BAD BAD BAD. If I could encompass these past few weeks in two words--actually I'll just make it one word: shoes. Spring is here, and I'm changing up some parts of my style. A lot of my shopping has been online these days, what can I say? Work is so swampy I don't even have time to blog, book stuff has been a little stress-y, so in order to get my retail therapy stuff, I shop. 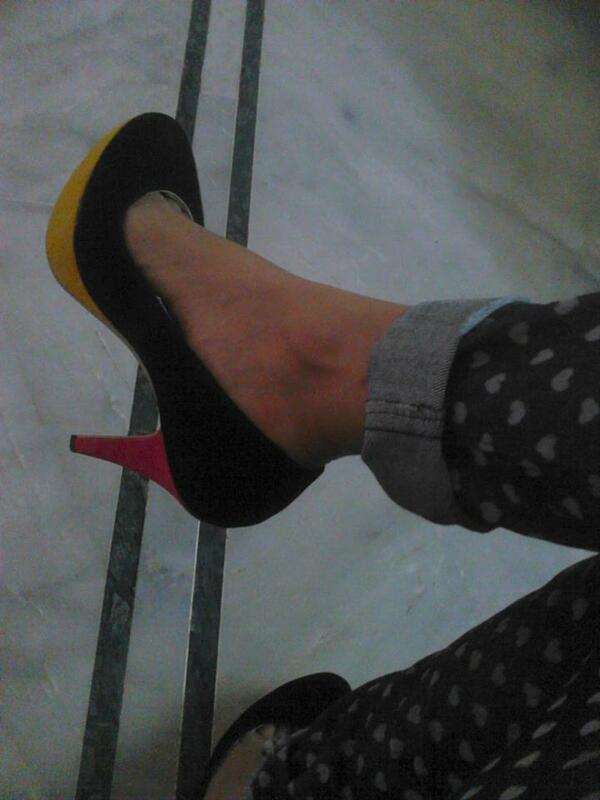 So, I bought these gorgeous pair of kickers. Other stuff I can highly recommend: coffee from Blue Tokai, I buy the whole beans and grind them myself, because I'm a bit of a coffee snob these days. And a basket full of fresh veggies from I Say Organic, the prettiest pudina! the sexiest spinach! the pinkest beetroot! And the reason for this post, because I'm a bad blogger, but trying to be a good book-writing-promoting-person-- drum roll please. This FRIDAY March 15, at the Last Ship Art Residency, Bandra. 7.30 pm to 10.30 pm. I'll be launching Cold Feet! In conversation with me is Raja Sen, who you know if you know movies, also a good friend, and someone I thought would have an interesting gender discussion with me. Also, drinks, reading, and Instagram. All are welcome, so come, bring your friends, your parents, your first awkward date. Here's a link to the Facebook invite for more details. 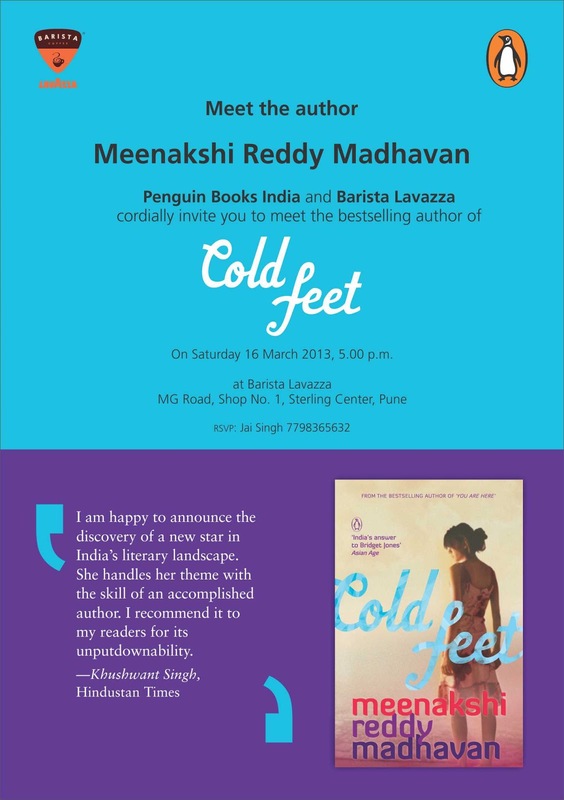 Also, stay tuned, because I'll be in Pune on Saturday for another reading--are any of you in Pune? Will you come and hear me read? I'll post location/time details on the blog and on my Facebook page as soon as I have it. Any details about Pune yet? I'm in Pune, and I vote for Barista on Law College Road, it's more spacious than the one on MG Road. PS: I've been following your blog for about 6 years or more now, but I rarely comment. 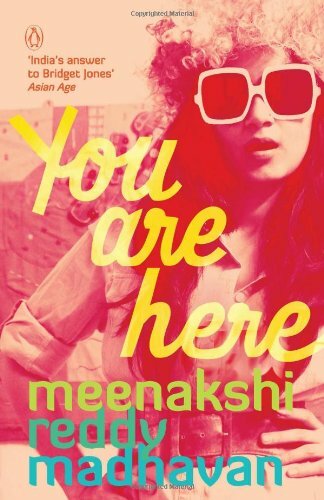 PPS: Also bought and read You Are Here and Confessions of List Maniac, and now looking forward to this one. 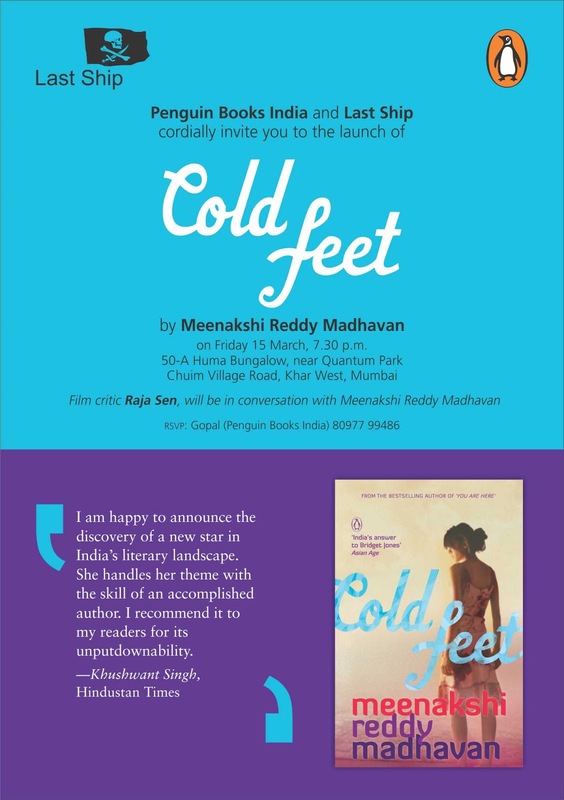 Hey as I said on ur FB, Law College Road is quite hep for book reading.Looking forward to ColdFeet. Plus, love ur update and nice choice woman. So you wrote after a long long time! 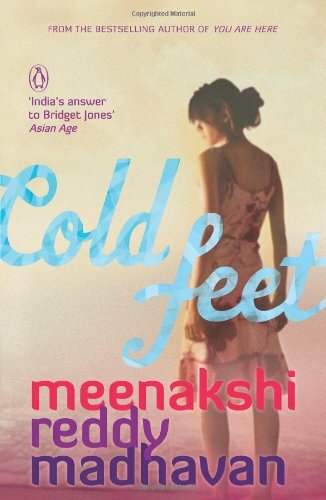 I am reading Cold Feet and enjoying so much!! Ladli is awesome! 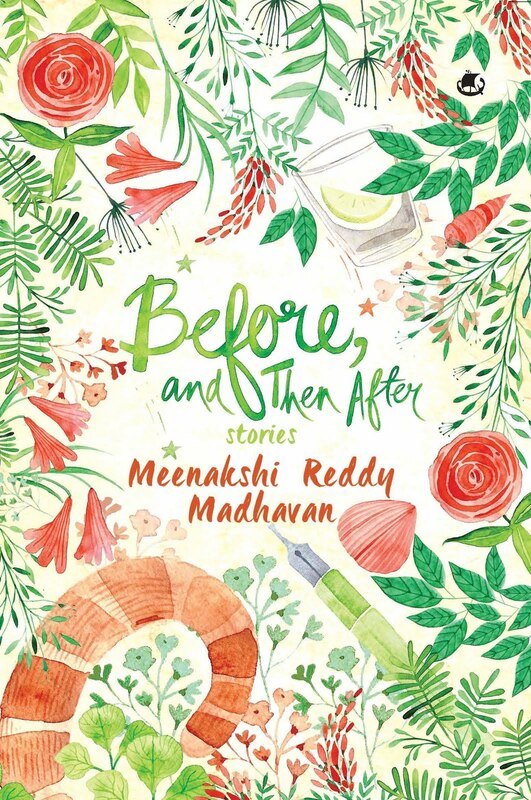 As I read Your blog from time to time, I can not detach the story from You but this hidden Meenakshi just makes the whole more like running in the blood stream. So done with the book, at least for the first time. I may read it again to enjoy words like loathe and lechy and the others I even forgot, that is why would reread. So really enjoyed. Sometimes lost among the many characters so I had to identify the particular one from something but they are exciting! I love how You suddenly retold certain situations from another character's angle, like a collaged piece. A loved to see that real women exist in India who can, or they find the way, to deal with their self. Great writing! Happy that You wrote, thank you!